← Free Crochet Pattern: Goldfish Cracker Pin! 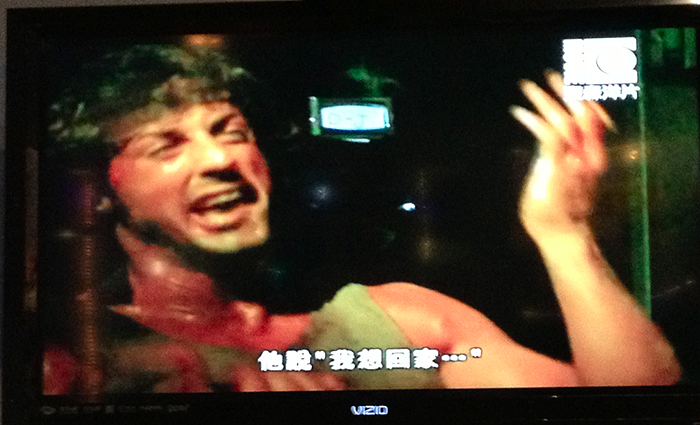 Rambo Adventures at Souffles Cafe! My dad came up to the city over the weekend to have dinner. 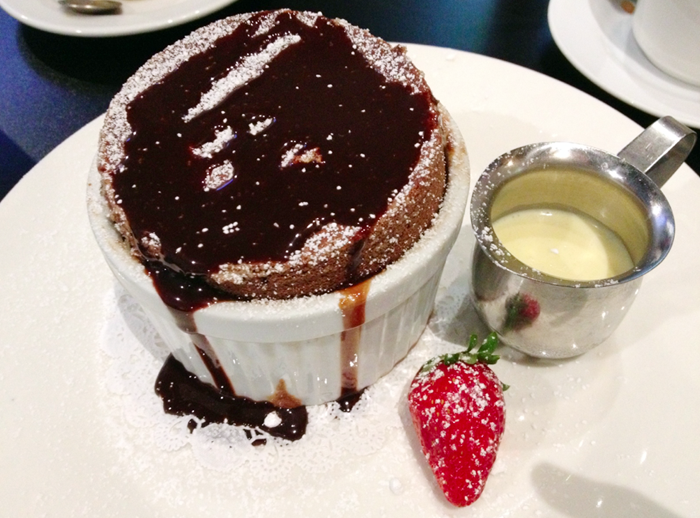 When we asked what he wanted for dessert, he said: SOUFFLE. Lucky for us, in the time of Google and iPhones, Hairy quickly located a place called Souffles Cafe near North Beach that was open late, so off we went! 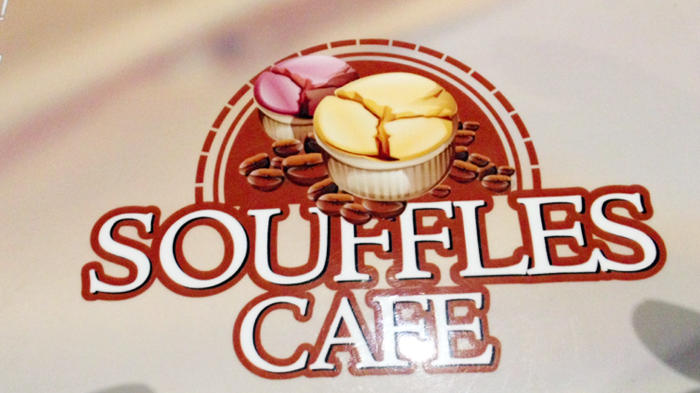 Souffles Cafe is uber Chinese, and not French, as some might assume. 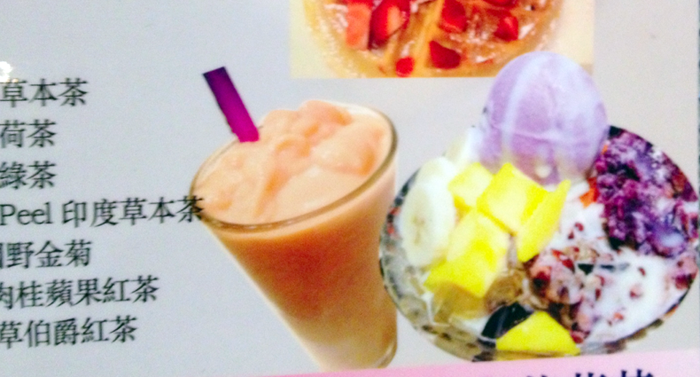 They have a lot of souffle flavors (I got chocolate, my dad got grand marnier, but almost banana, and Hairy got coffee), and tons of other Hong Kong cafe snacks like egg puffs and sweet soup desserts and “house made snail meats” (okay that’s not really a dessert) and lots of tea. My dad and I usually always get a hot Hong Kong Milk Tea, and Hairy gets his iced. 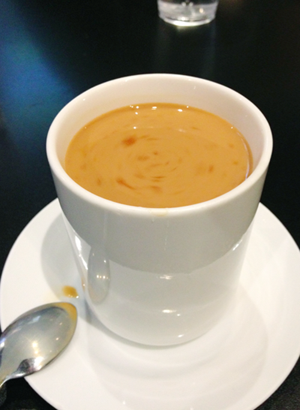 HK milk tea is a really strong black tea with lots of sweetened condensed milk and probably also sugar to boot. It’s sweet and creamy and keeps me up at night, but I love it! There are many powdered versions as well, and we have tried A LOT of them. 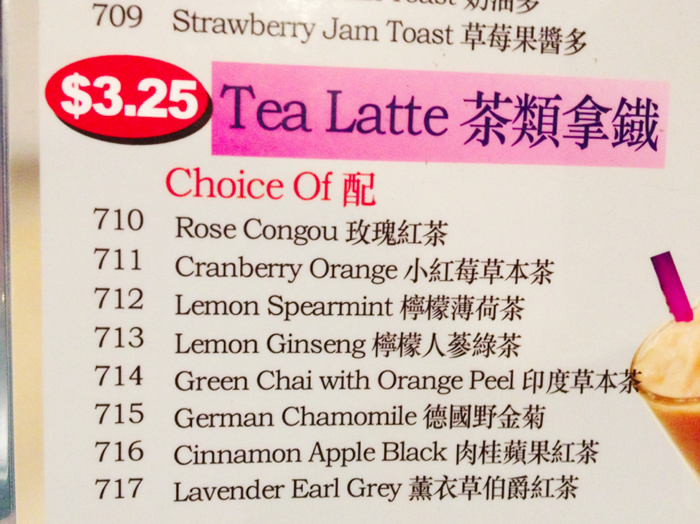 My favorite so far is one made by Lipton, but we can only find it in Hong Kong, so we stock up when we are there. The key is finding a powdered milk tea that produces a really creamy/milky beverage. Get with it, U.S.A! Don’t worry. I ate the souffle and stayed sane. The other really cool thing about Souffles Cafe is the bathroom. 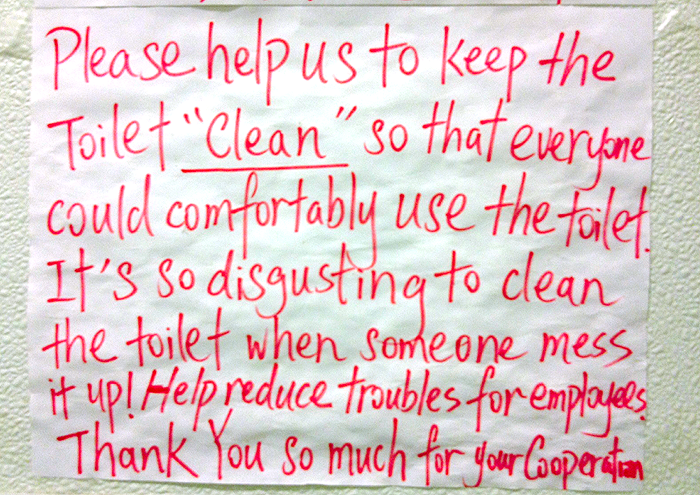 They are really protective of their bathroom, and I respect that big time. Don’t be disgusting out there, people! The souffles there are pretty big, and I could only finish half of mine. I told Hairy that if I tried to finish it, I would have to start breakin’ all kinds of bathroom rules. 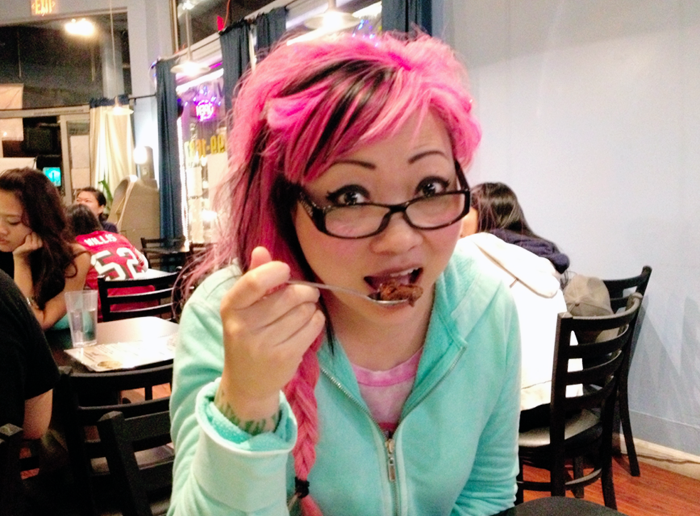 I’m fun to eat with! 6 Responses to Rambo Adventures at Souffles Cafe! I’ve seen that before in older buildings where I guess they have tons of plumbing problems!? Also…. TURKEY! My mom and bro told me you’re not to put any TP in those toilets, and the hotel peeps take out your TP-basket. Makes me sad about going #2. Everything about this is amazing. Also, next time I visit we are TOTALLY GOING THERE!! We can go squeeze it in between the pupusas, the roti buns, the bubble tea, and 83 BAGS OF COOKIES!!! WE ARE BANNED FROM BUYING COOKIES FOREVERRRRRRRRRRRR!!!!!!!!!!!!!!!!!! !